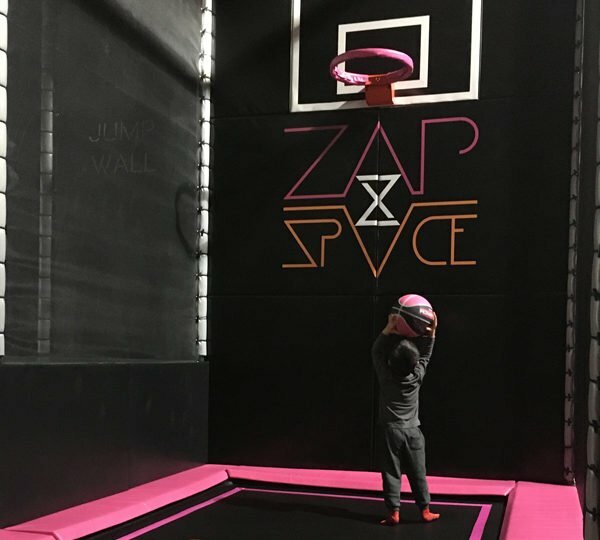 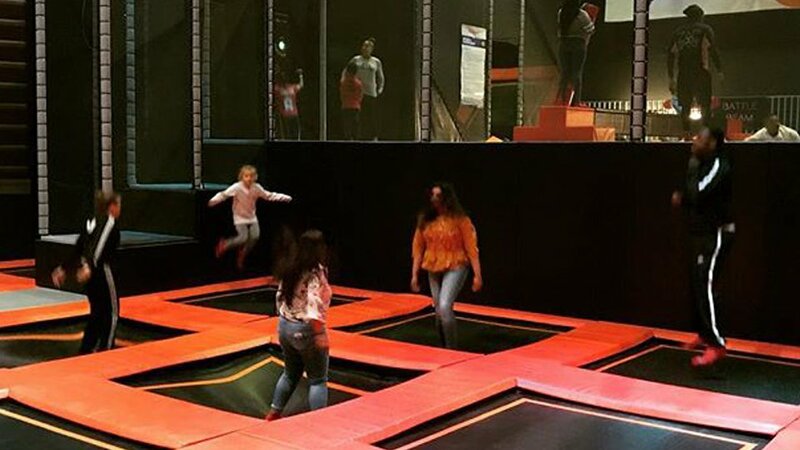 Our latest Trampoline Park installation is unique in more ways than one. 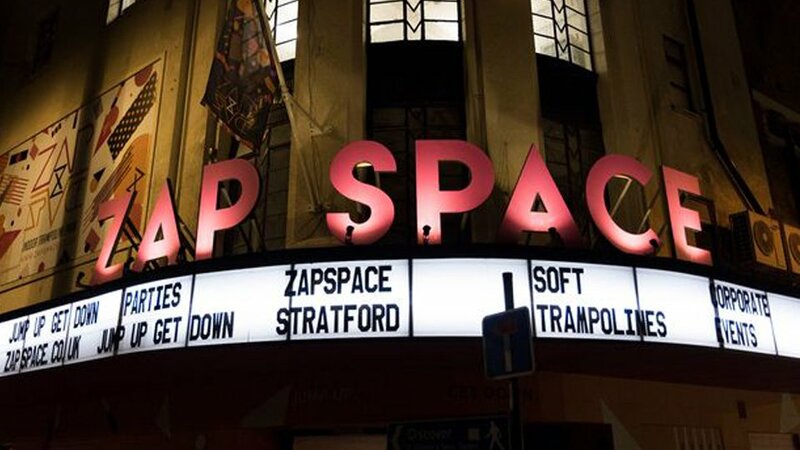 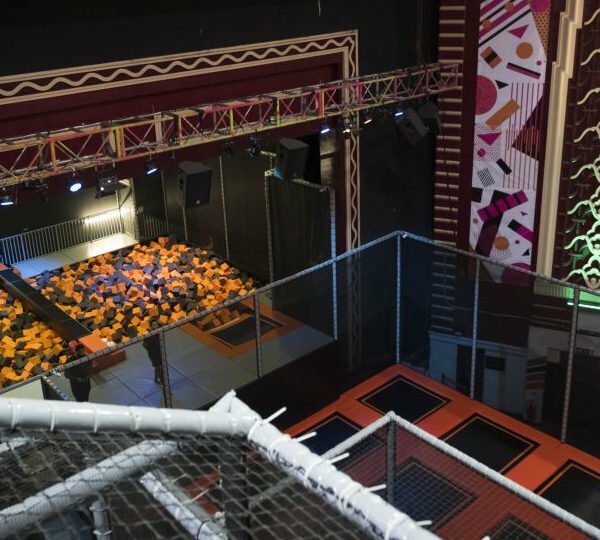 Ranging over 3 levels, and using a specially constructed mezzanine, this is the first jump centre we have built in a theatre. 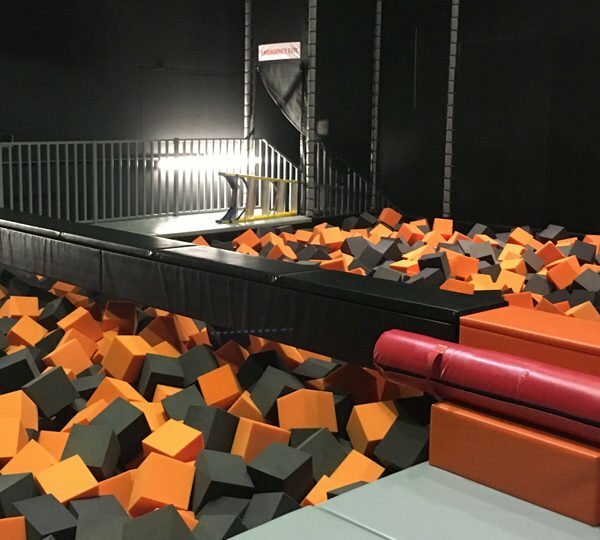 This ultra-cool environment offers a great range of activities that offer a variety of challenges. 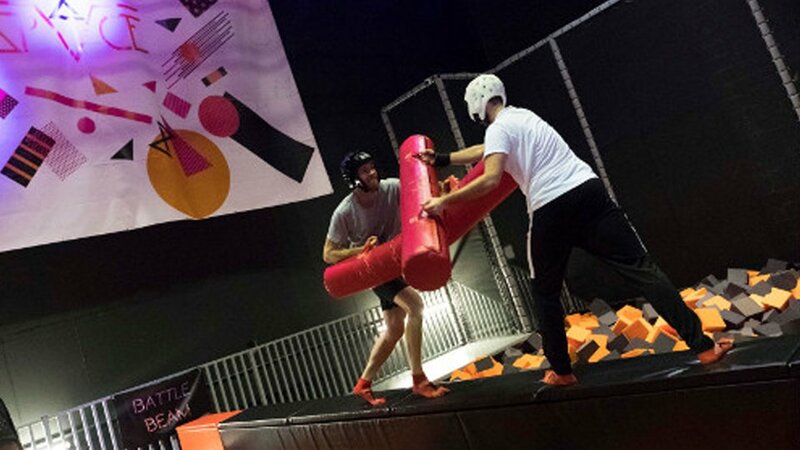 Power Tower and Battle Beam are a test of one’s strength while Dodge Ball and Slam Dunk add a competitive edge. 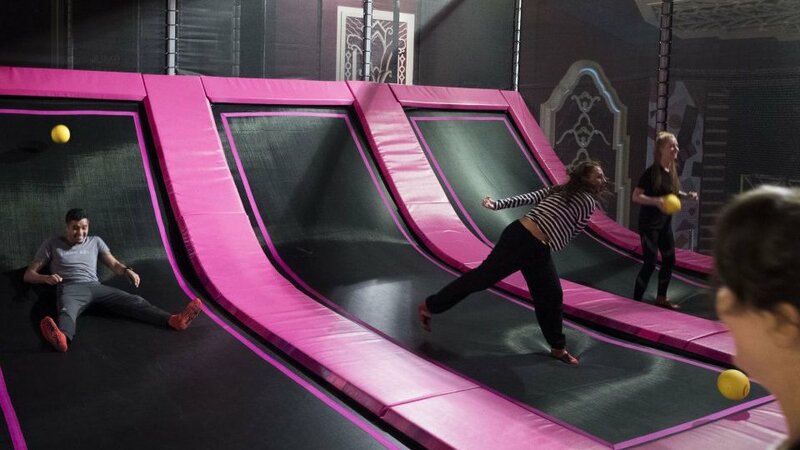 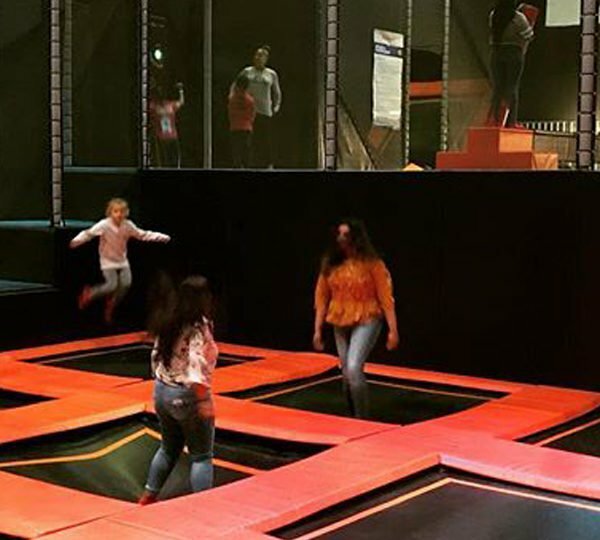 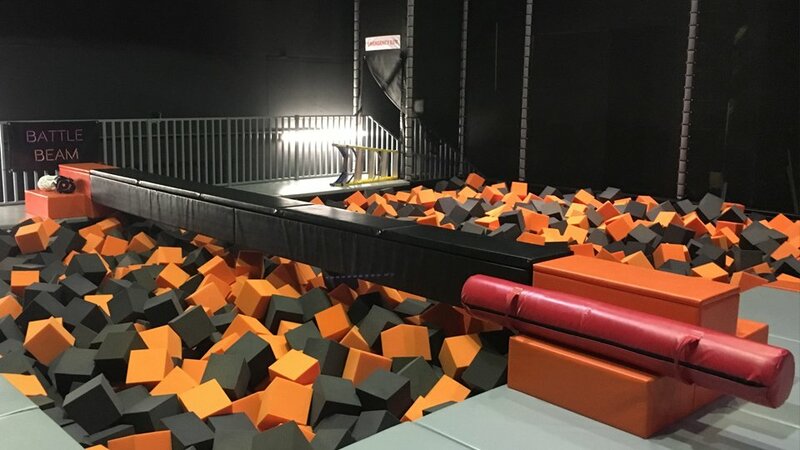 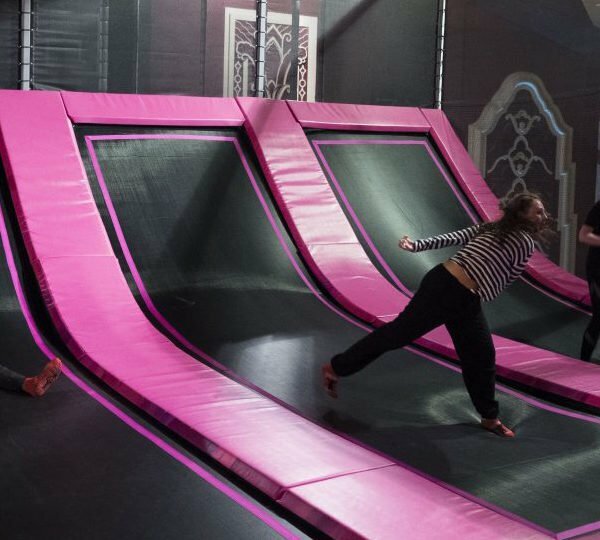 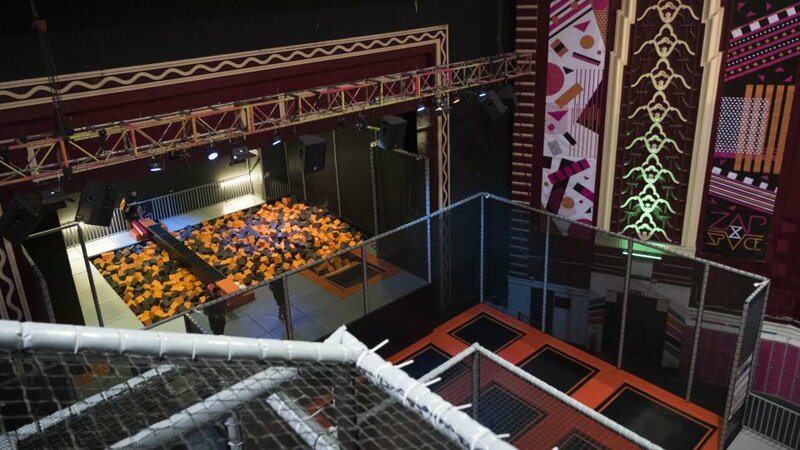 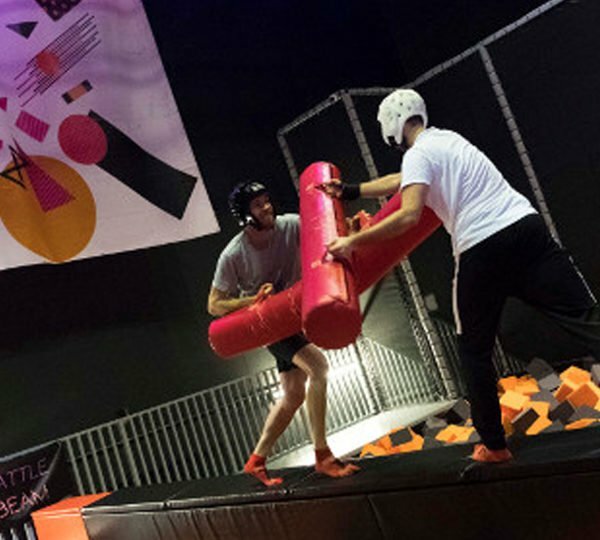 Reactions and agility are put through their paces on the cardio wall and there is a foam pit, a tumble lane and a half pipe for general freestyle mayhem. 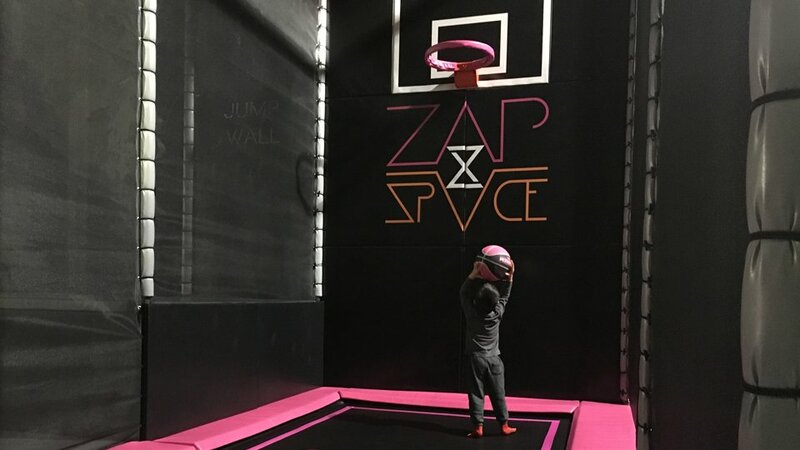 Toddlers (aka little zappers) have their own space to in the soft play area (conveniently located next to the Cafe).